Land Information New Zealand (LINZ) is working with local government to increase the value of geographic information. Jan Pierce outlines programmes to date and details opportunities to come. From Richard Pearse through to John Britten, Kiwis have built a reputation for our can-do attitude. Open government data is helping to create another chapter in this tradition, by giving a new generation of innovators and problem solvers the raw materials they need. At Land Information New Zealand (LINZ) it’s a theme close to our hearts. We host the Government Open Data Programme, and we make our own geographic information freely available online through the LINZ Data Service (LDS). Since developing the LDS we’ve seen uses for our data that we could never have predicted. Among these are products for monitoring pests that might harm our horticultural industries, map apps and tools for managing customary fisheries. Through the LDS, we are meeting the call for central government to make the public data it collects, open and available for reuse. But we know we’re not alone in this. Local government has also been encouraged to share its public data, and has made a major contribution in this area. In some cases we’ve worked with local authorities to help unlock their data so others can use it nationwide. LINZ and local government have been working together on aerial imagery for some time. This is gathered from planes, and unlike popular imagery sources like Google Earth, it is orthorectified – corrected so that its scale is uniform and it is as easy to view and understand as a map. For years, local government, as well as central government, has gathered this imagery. It has been an important tool for understanding the features of an area and for showing the way it has changed over time. But while different organisations gathered imagery, licensing meant that much of it was inaccessible beyond their doors. In fact, despite all the work that went into gathering this imagery, the aerial images available to the public only covered about six percent of the country. LINZ and local government have since worked together to create a national programme for procurement that ensures that this imagery is now purchased on an open licence, which means users can adapt and reuse it to fit their needs. We’ve helped to put standards in place which mean that when it is collected it’s in a way that means it is useful to a wider range of people. Thanks to this work, we’ve gone from six percent to imagery for 95 percent of the country freely available for anyone to reuse, and we share it through the LDS. We’re now taking steps to make historic imagery more usable. LINZ is responsible for the government archive of aerial images that start from the 1930s, most of which is still held as film negative. Local government partners are now helping us to digitise this for specific areas. Combined with current imagery, it’s a useful tool in showing how our country has changed over time. Addressing is another area where LINZ facilitates open access to data gathered by local government. LINZ produces standards and guidelines for property addresses, which councils use to allocate new addresses. These addresses are then provided to us to include in the official national record of property addresses. This record, which does not include the names of residents or owners, is then made available through the LDS where it has over 600 users. By sharing it in this way, this data can be easily used by NZ Post, property information providers like CoreLogic, and emergency services. We’re now looking at new opportunities for partnership with local government. We have a pilot project underway with Canterbury, Hawkes Bay and Waikato Regional Councils for building outlines. This is literally the two dimensional outline of a building, including parts such as porches, garages and decks. We’re working with a remote sensing company to extract these from aerial imagery for our pilot areas. It can then be used for monitoring building changes. It can also be used by emergency services to locate buildings. Another pilot project will increase the value of LiDAR data. LiDAR uses lasers to collect 3D data about the height of our land and features like buildings and trees. Councils collect this for different parts of the country, and we’re partnering with Auckland to make these freely available through the LDS at a standard that means it is useful for industry, researchers and others. LiDAR is a useful tool for modelling the impacts of floods, and the effects of sea level rise and tsunamis. This pilot will help us decide whether we should approach this on a bigger scale. In all of these projects, the LDS has been an important tool in making data easily accessible. For many councils this is not a challenge. A recent survey found that there are 20 open data portals across local government. But to make it easier for others, we’re creating a syndicated contract for the LDS. This will mean that other government organisations can create their own branded site without the cost of procuring this service themselves. 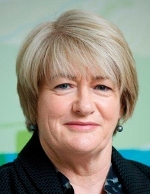 Jan Pierce is deputy chief executive location information at Land Information New Zealand.